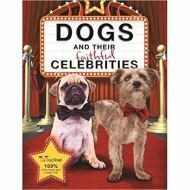 In this brilliant new book for dog lovers around the world, we meet some of the most adorable pooches and their adoring owners! A wonderful, charming book, featuring some of the best known people from the worlds of music, sport, movies, and television. Featuring a brief history of Dogs Trust, statistics, and details on every pooch—as well as some words of wisdom from their proud owners. This is a brilliant book for dog lovers far and wide, and a lovely way to celebrate the wonderful work of Dogs Trust.